Warakurna: All the Stories Got into our Minds and Eyes is a travelling exhibition developed and presented by the National Museum of Australia (opens in a new window). This exhibition of contemporary paintings and sculptures document a new art movement emerging from the Western Desert community of Warakurna. These paintings combine familiar Western Desert symbols and dots with a more figurative style to re-create scenes of everyday life and to tell historical and contemporary stories. The works are the creative vision of a group of artists including Eunice Yunurupa Porter, Judith Yinyika Chambers, Jean Inyalanka Burke and Ken Shepherd. 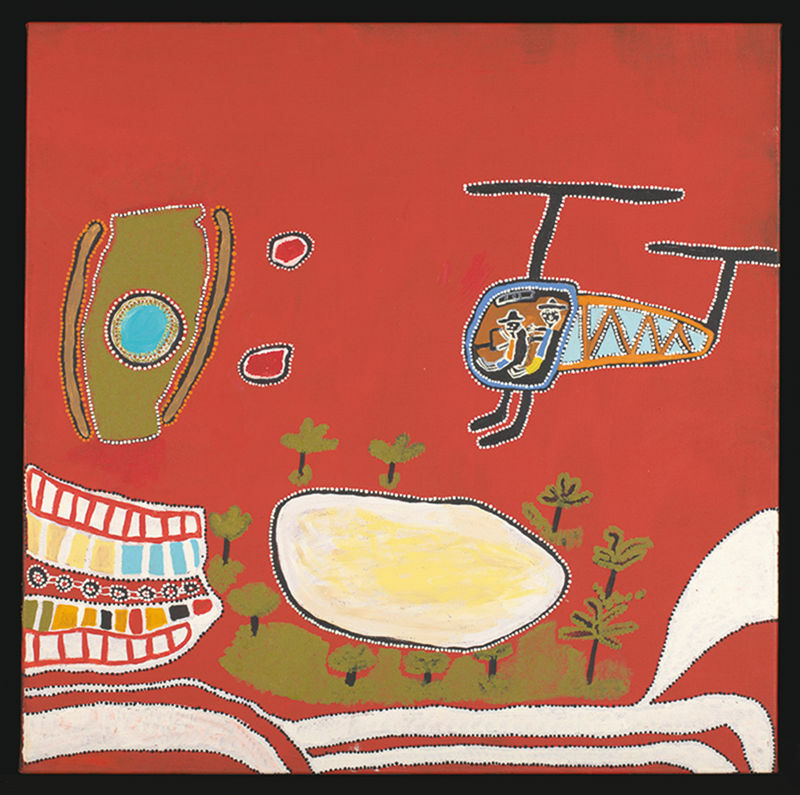 The Warakurna paintings are more than simply art – they remember the people and recount the events that have influenced the artists' lives, ranging from the impact of mining and weapons testing, to a visit by the rock band Midnight Oil. Venue: Australia-China Institute for Arts and Culture Gallery, Building EA.G.03, Parramatta South Campus, Western Sydney University. Corner of James Ruse Drive and Victoria Road, Rydalmere.